I received my Mpix.com print and framing order yesterday. For those playing at home, I ordered at 2:10pm Thursday April 28th, and received the delivery in full at 2:20pm on May 3rd. All in all, a total of 3 business days from order to delivery. Not too shabby for a standard order of 9 prints and 2 frames. 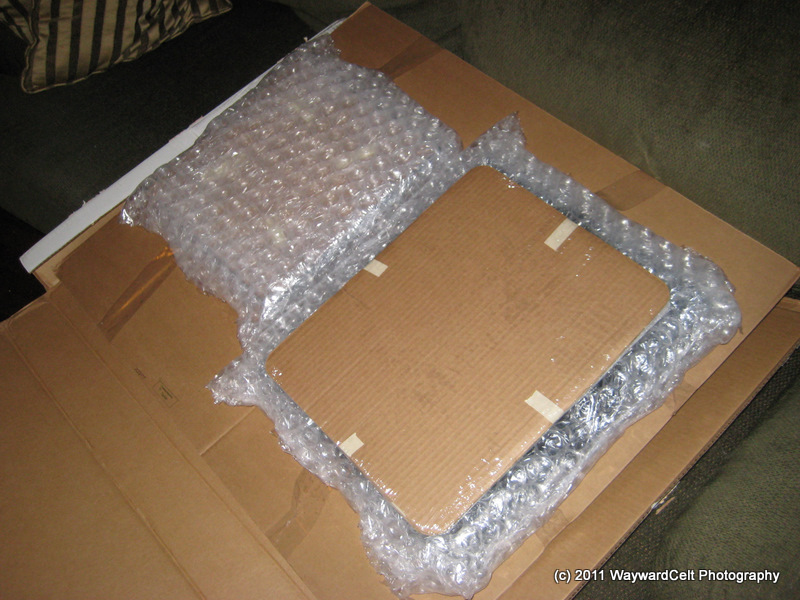 The box my order was delivered in was well protected, and the two frames placed next to each other rather than on top of each other to ensure neither would crush the other or suffer any damage during transport. Liberal application of bubble wrap also helped ensure the safety of the contents. Digging into the wrapping I started to pull out the frames and prints and study the quality of each. The first one I opened also happened to be the one I was most concerned about when ordering. 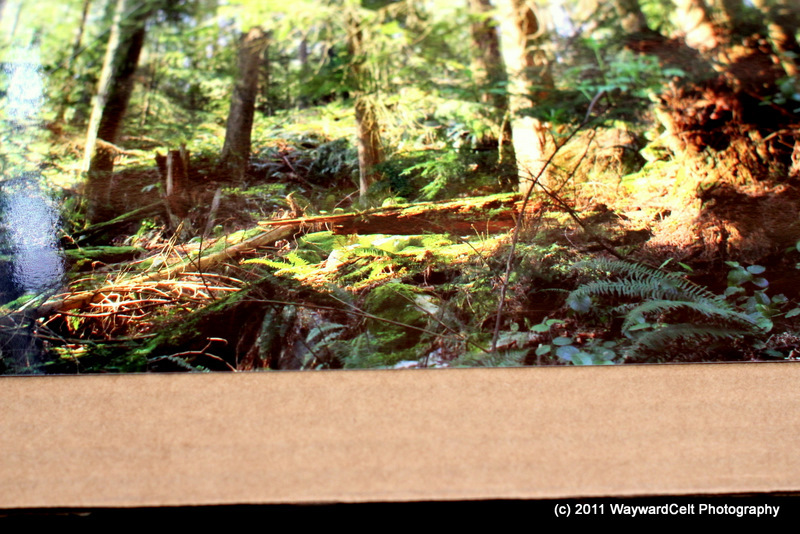 You see, it was a print made from a highly adjusted image taken with my Canon PowerShot SD1000, not my new 60D. As I tore off the bubble wrap, I could see my concerns were unnecessary, as the print and frame around it were far better than I’d expected. 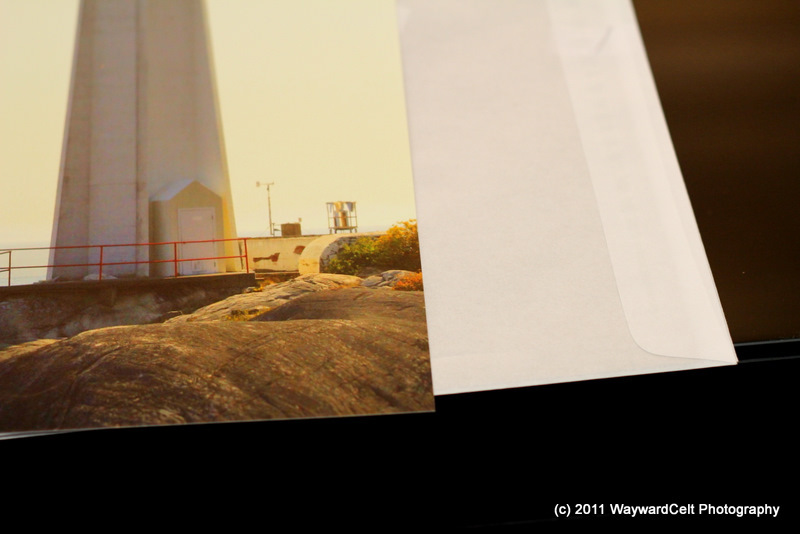 In fact, I can only see ever-so-slight pixelation in certain parts of the print, and only during very close inspection. Framed and on my wall, I doubt anyone but the most particular would even notice. 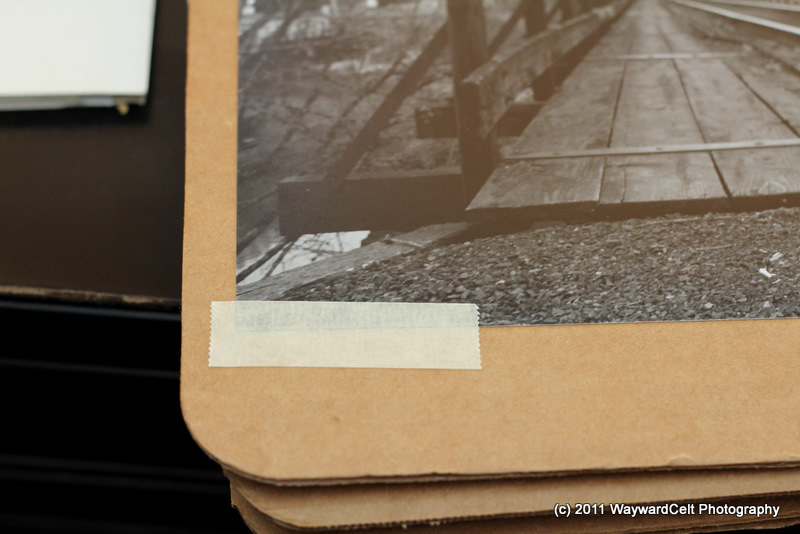 The remaining 8 prints were all generated from my Canon 60D, and had varying levels of adjustments made. Most were small light level tweaks, while a few were more heavily adjusted with colour saturation to bring out more drama and vibrance to the images. In each case the final products I hold in my hand match the image I had in my head an on my monitors when I was tweaking them. While I wholly admit to not being a colour expert, even the Black and White prints match what I’d expect a proper B&W print to look like; and I have far more experience with making my own B&W prints. The E-Surface paper is a typical matte finish photo paper with a thickness I’ve come to expect from good 8×10 sheets of Ilford in my darkroom days. Nothing of this paper makes me think “digital print”, and that is how it should be, From my early days of seeing home printed photos, even those on “photo” quality papers, well, I was left feeling as though I’d never see the quality in a digital print to rival that of an analog SLR/35mm negative printed to proper photo paper. I am here to say I no longer fear that. All the prints I received on the E-Surface have satisfied my demand for higher quality prints. The Metallic paper was the odd-man out for me, as I had no experience with this type of paper. It has a slight pearlescense which lends to a more vibrant colour image. I was particular about the images I chose for this paper, and I am glad I was. The paper has the potential to detract from the image if not used correctly. Happily I think the two images I chose were well suited for this paper and have made good use of the qualities to enhance the images and make the ‘pop’ just a little more, rather than detract. 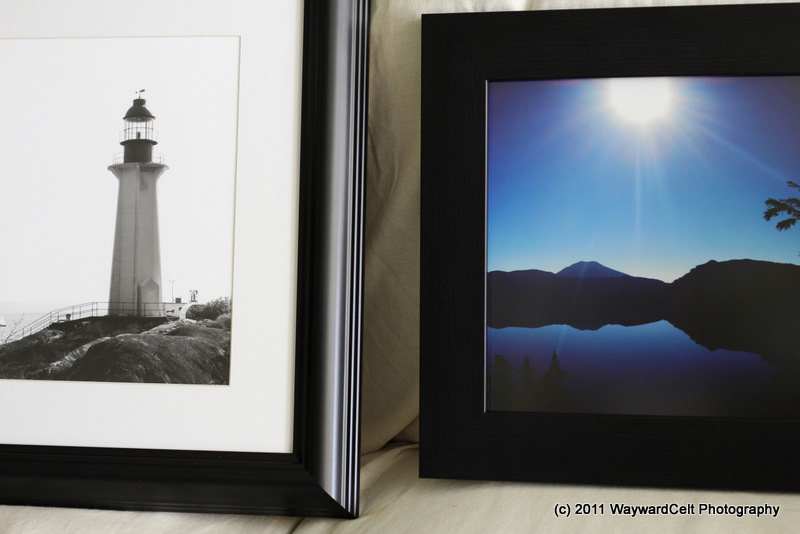 Framing… I said above, you get what you pay for… but this may be the case that stands as an exception. These are not the high quality, high cost custom frame jobs you’d get if you walked in to your local shop, but that in no way implies the framing is shoddy either. While the two frames I received don’t have the weight of a high quality frame, they also don’t carry the sticker price either. For about $40 per frame, I really can’t do any better myself, and hanging on the wall, no one would likely see them as anything less than professionally framed. Really, I’m just being a tad nit-picky here because I have to find something to couch my otherwise glowing review. I’ve seen better framing jobs, but those always came with a price upwards of five times what I paid for these. You can rest assured I’ll be using Mpix for framing again. 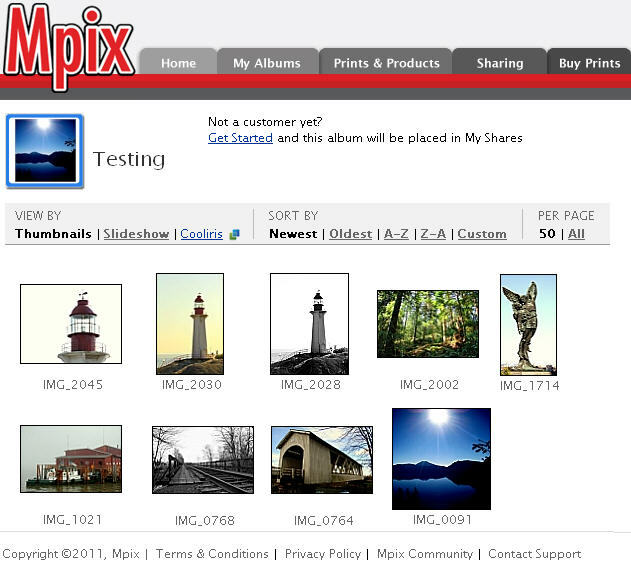 Final conclusion: I am -very- happy with Mpix as a vendor for both printing and framing of digital photographs to a professional quality and standard that I would expect from such a shop. Of course, the fact that I am finally getting my own photography printed and hung on my walls may be playing a small part in how pleased I am with the quality and service Mpix.com has provided. But, casting my own giddiness aside, I still have high standards for quality and Mpix has delivered that for me. A weekend in Vancouver BC, with photos! Thank you for this well put together review. I have an order being shipped from mpix right now. 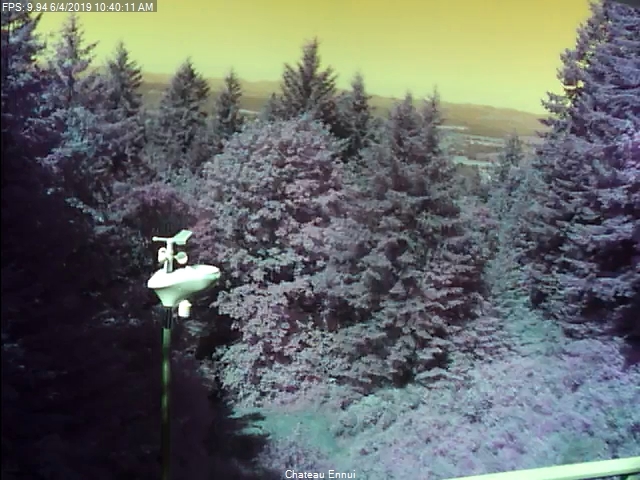 So far I have had a great experience. I am really worried, as I have an image that was selected into a juried black and white photography show. It is my first time having a piece in a gallery, so I wanted it to look the part. Crossing my fingers for a good result. At some point I need to update this review, or post a new one, as I am now using Zenfolio/Mpix to power my portfolio site and integrate order fulfillment. In fact I chose Zenfolio over others precisely because I wanted to use Mpix for fulfillment since I have been so pleased with their quality and service. Thus far all my customers have been just as pleased as well!